Happy autumn everyone! 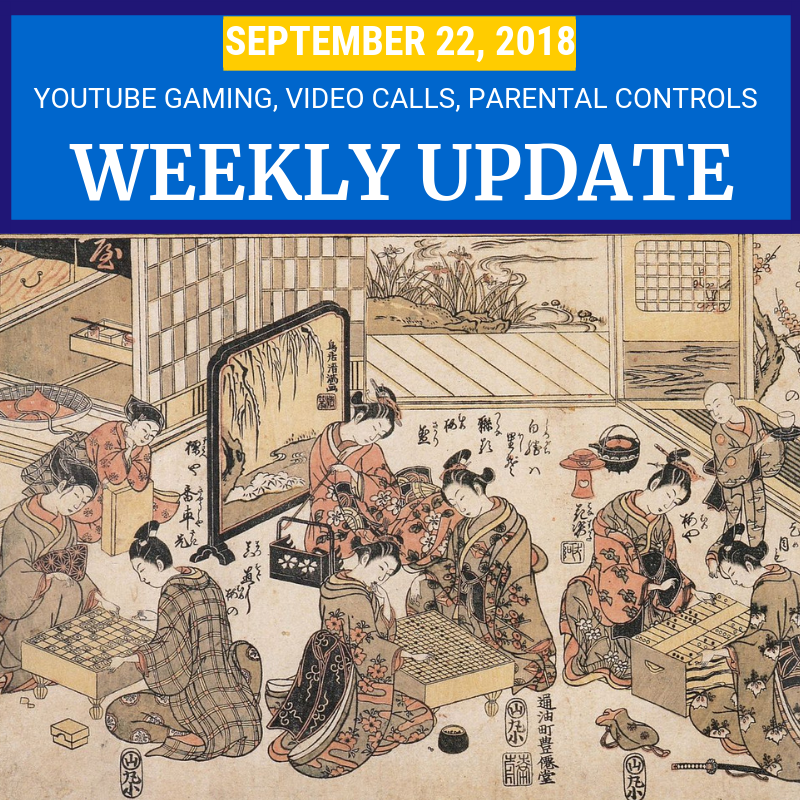 There are updates this week for gamers, parents, and businesses and more. The big news this week is that three years after its launch, the stand-alone YouTube Gaming will be retired, as gaming content and featurs features are integrated into YouTube proper. The new home for YouTube Gaming (youtube.com/gaming) with personalized content is live, as are new individual game pages. YouTube expects this will bring more viewers to gamers’ content. The stand-alone YouTube Gaming apps will be retired in March 2019. You can now add third-party video conferencing to your Google Calendar events. You are no longer limited to Hangouts Classic or Hangouts Meet (for G Suite accounts). You can now link Webex, GoToMeeting, UberConference or Vonage to your account to set up a video call participants can join by clicking a link on their calendar. Up until this week parents could only manage the activity of their kids too young to create their own Google account. Now Google Family Link lets parents manage their teen's existing Google account. Teens are able to turn off supervision, but if they do, their parent is notified. Google One is coming soon to India. Google One plans include Google Drive storage, 24/7 support and special perks. Users who are already paying for Google Drive storage should be upgraded automatically over the next few weeks. This week Amazon hosted a private event where they announced new Alexa-driven hardware. The small Echo Dot is updated with a louder speaker, Echo Sub is the large speaker version, Echo Auto is a dashboard accessory for your car, the Echo Show has a larger screen and now works with Skype, and the Echo Input is a small device you can plug into your existing speakers, while the Echo Link and Link Amp are meant to control your sound system. They also announced the Fire TV Recast for watching and recording live TV, a new Ring security camera, plus several other “smart” devices, including an Alexa-enabled microwave oven. It looks like Amazon really wants to take over your home. Plus there are more tips and updates for webmasters, Android users, and more. Read on for details.